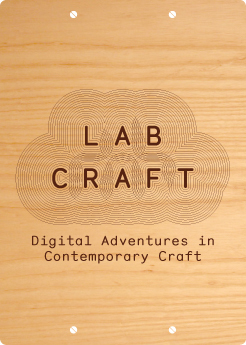 Lab Craft: Digital adventures in contemporary craft. 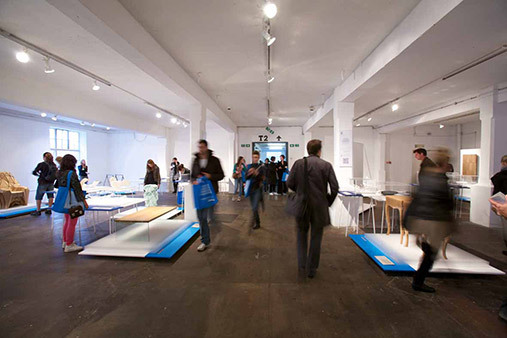 Lab Craft: Digital adventures in contemporary craft, the new Crafts Council touring exhibition. 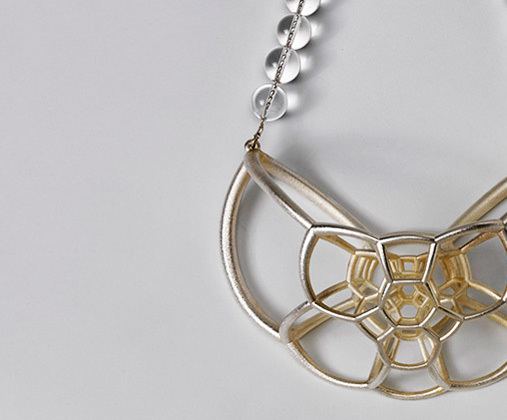 The exhibition features 26 makers who combine the hand, mind and eye, technical mastery of tools and material and aesthetic sensibility, with cutting-edge digital technologies such as rapid prototyping, laser cutting, laser scanning and digital printing. 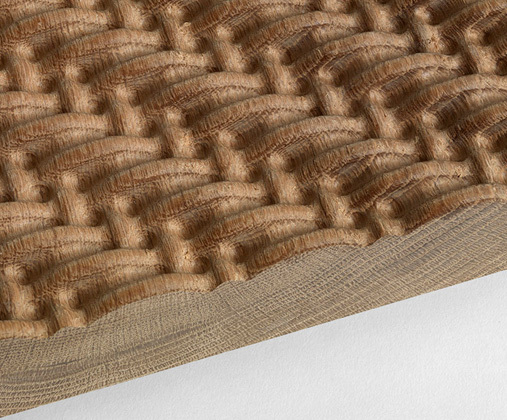 The duo have analysed the chosen weave structure and, via a number software packages, have converted it into a cut pattern for the digital router. By combining 3D and textile design, they have managed to subvert familiar and recognisable textile structure and pattern to enable new surface textures to emerge. The design has been created using rapid prototyping technology.The technology encourages a new way of designing and making which challenges the boundaries between maker and consumer, and anticipates that rapid and desktop manufacture will become commonplace methods for making in the future. Translating the traditional Shibori art of folding, knotting, stitching, pinching and dyeing, Bowles reinterprets these techniques using digital media. 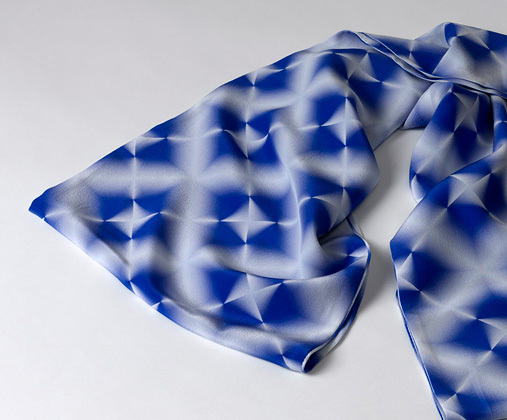 She manipulates complex mathematical graphic geometrics to create light effects, folds and blends that retain the original essence of Shibori. The result is digitally printed onto fabric.